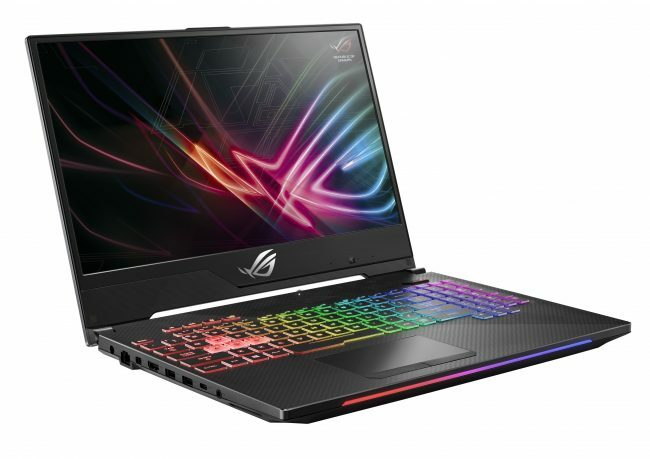 ASUS Republic of Gamers (ROG) today launched Strix SCAR II and Hero II power-packed esports gaming laptops built exclusively for FPS and MOBA titles. Both ROG Strix SCAR II and Hero II flaunt the world’s first-ever 144Hz super-narrow-bezel display with an ultrafast 3ms GTG response time for taking the gaming experience to the next level. Both Strix SCAR II and Hero II feature a gaming keyboard with HyperStrike Pro technology for decisive command and control. The keyboard has a desktop-inspired layout, including four hotkeys, customizable Aura Sync-compatible RGB backlighting across four zones, and ergonomically-designed keys with 0.25mm-deep keycap curves. The keyboard has specially-highlighted WASD (for SCAR II) or QWER (for Hero II) key groups with transparent key caps, and N-key rollover technology. The keyboard is durable, too, with a 20-million-key-press lifespan. Both laptops come with the latest RangeBoost zero blind spot technology. Via the proprietary 4 antenna configuration, which is 2×2 + 2×2 connection mode, the laptop can switch between different main and aux antenna, after gauging the strength of the signal. Both the laptops wield the power of GTX 1060 from NVIDIA with 6GB VRAM and GTX1070 with 8GB VRAM to ensure the same. These laptops have HyperCool Pro thermal system to keep them cool for getting the most out of the laptop’s high-performance CPU and GPU. An extended cooling plate soaks up heat and spreads it evenly to avoid thermal throttling and keep chipset power components below 90°C, while two high-performance 12V fans deliver stronger airflow and increased air pressure to cool the CPU and GPU and drive hot air out of the chassis.